The events in Saudi Arabia before the Coming are also clearly described in the Hadith. According to the Hadith, the dynasty of “Bani Abass” will rule Saudi Arabia. Researchers believe that Bani Abass is the same as Al Saud [the Saud Royal family in Saudi Arabia]. … Upon the death of a ruler named “Abdullah,” conflict and struggle of power will increase in Saudi Arabia and this will continue until the reappearance of the last Messiah, the Mahdi. It is important to note that Saudi Arabia has not had a ruler name Abdullah in the past 100 years. Another key individual … is called “Yamani.” His presence is another sign that the reappearance is close. 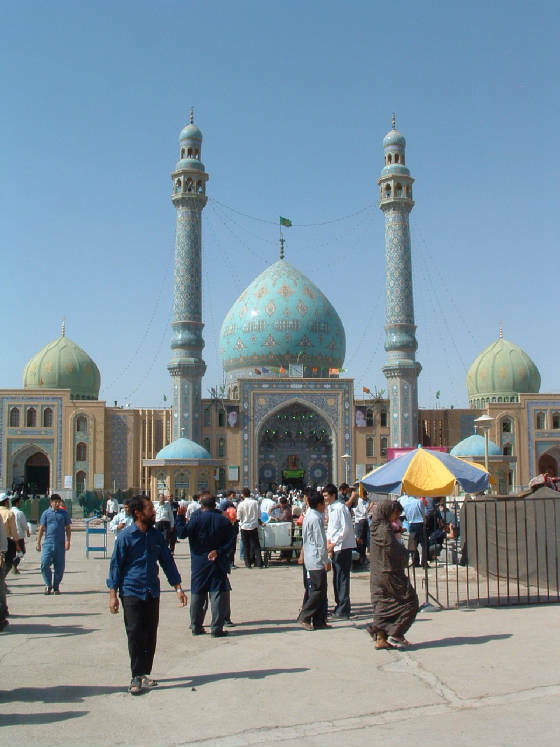 Some believe that the Yamani is Seyyed Hassan Nassrollah. … Nasrollah is from the Shiites of Yemen whose ancestors lived in Yemen and immigrated to Lebanon many decades ago. Amazingly, the video produced by Iran in early, 2011, accurately prophesies of the rise of Yemeni Houthis, Shias, who have just now successfully overthrown the government of the current President Hadi of Yemen. President Hadi, an ally of the Royal family in Saudi Arabia as well as the United States, resigned under pressure from the Houthis after they surrounded his palace.8 Iran is reported to be providing the primary funding for the Houthis. When one considers what has just happened in the world from a Shia perspective, it is quite astounding. Yemen’s government has been overrun by the Houthis, a Shia sect few in the West had ever heard of before September, 2014, when the Houthis took control of the capital of Yemen, Sanaa. King Abdullah of Saudi Arabia has just died, and the world is more than ever standing against Israel. All of these are conditions prophesied in the documentary that are paramount to the return of the Mahdi. 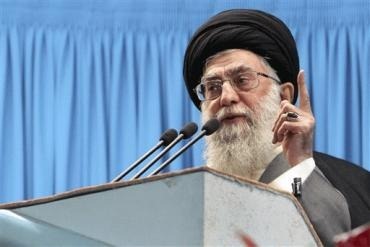 According to Frontpage Magazine, the Supreme Leader of Iran, Ayatolllah Khamenei, is reported to have told “close associates that he had privately met with the Mahdi and was told that he’d arrive before his time as Supreme Leader ends. Khamenei is 71 years old and widely understood to be in poor health, so the grand jihad that Khamenei believes he must command must come soon.” Read more. I don’t know about you, but I can only imagine what the Ayatollah Khamenei is talking about tonight with his key leaders. A documentary that aired almost four years ago is unfolding before his eyes and he believes that he is one of the “preparers” of the world to bring in his messiah, Muhammad al-Mahdi. To do so, he will need launch world chaos that will seek the destruction of Israel and her allies. He has publicly declared his intention to wipe Israel off the face of the map. Do you think he is getting trigger-happy with his “non-existent” nukes? Do you think he will see the events that have unfolded as the will of Allah? Only time will tell; but it gets dangerous when an Islamist believes Allah has willed it. NextWill you post a review of my book, Islam the Cloak of Antichrist? And with friends in high places (read 1600 Pennsylvania Ave) the Shia Houthis should be on a roll. Imam Mahdi merciful father …Imam Mahdi is kind like Mother…Beautiful Imam Mahdi is like spring….If you found out !!!! Javad. Thanks for your comment. All of us are impacted by the books we read and teachings we follow. However, the prophesied al-Mahdi, “Master of the Sword,” has been given various names over Shia history to indicate that the compassion and mercy he will bring is only after he has avenged the wrongs of the Sunnis against Shias since the Battle of Karbala, 682 AD. He is certainly described as you have indicated (former President of Iran, Ahmadinejad did so before the United Nations several years back as the “perfect, long awaited one, who will bring peace to the world”) but he will only bring peace after he has accomplished Shia dominion over Sunnis, and then the world. I respectfully differ with your sources. Please only introduced once the books that I read. You may know the truth. Do you know the signs of the Mahdi in the Bible is mentioned as the savior of the world? The movie “Meteor” (1979): a meteorite hitting the towers of New York and destroys them. We have long been the scene of the smoke from the towers and aerial imagery documentary devoted to exactly we can see in this video. “The Tenth Kingdom” (2000): When a hero giant passing through New York City’s Twin Towers coming down. Sorry, But Your Sources Are Corrupted. For Example, Jamkaran Mosque isn’t the hiding place of Al-Mahdi. It’s Just a Holy Place That Believed Al-Mahdi Invited People To Pray In There For “Reappearing”. Tha’ts A Funny Myth that Anti-Shitte’s Telling Repeatedly for Making Shitte’s Beliefs appear Unwisely. There Are Much Corrupted Data In Your Text. And There are Much Other Predictions With Exact Accurance In Other Sources. Here’s another inaccurate and somewhat funny publication from Iranian News. The way things are going in Yemen today with the defect of the Houthis, the “Perfect One” and “Yamani” in Lebanon will have to wait longer…. The series of events listed above are crumbling. Long live Yemen’s government, Long Live Saudi Arabia and the Gulf States.